Mr. Durfee is on a roll and the story gets even better in this second book in what's shaping up to be one of the best series of our time. I can't wait to see where he takes the story from here! I thoroughly enjoyed this book with its dynamic storyline that pulled me in and twisted in ways I didn't expect. All of the characters were vibrant and didn't fit the same tired old mold that so many fantasy stories keep regurgitating over and over again. For the most part none of the characters were entirely naive and innocent or corrupt and evil and they were complex in their actions and motivations. 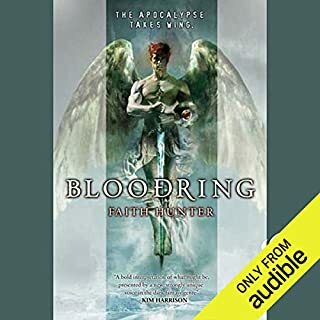 Top this off with one of the best narrators in the business and it shapes up to be a book that will leave fantasy fans satiated. The one and only complaint I have is with the tad bit over the top passages from the various holy books that begin each chapter. Regardless I'm excited to start the next book in the series immediately after I finish writing this review! 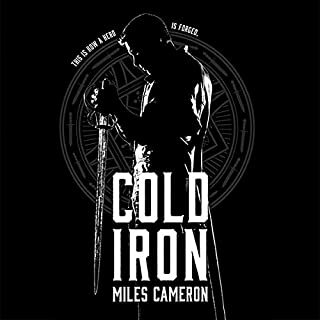 Miles Cameron delivers again with this first novel in what I fully expect to be another hit series from one of the top contemporary authors in the fantasy genre. If you haven't had the opportunity to read his previous work this is an excellent book to cut your teeth on to get a sense of the superb characters and rich worlds and storytelling full of wonder, action and mystery. I'm very much looking forward to the next book in the series. 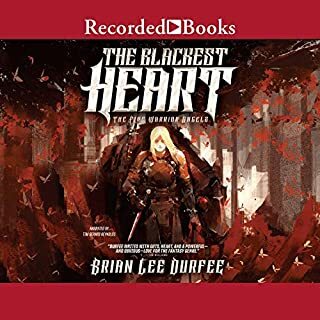 I've been listening or reading more and more selections from the LitRPG genre and i've found that you never know for certain what quality you might find in this genre that's really picking up steam. I've been an avid gamer my whole life and RPG's have always been my favorite so it's wonderful to get to combine my love of reading and gaming. Unfortunately I've found that a good portion of the books have been mediocre. I listen to an average of 3 to 4 books a week through Audible so sometimes I end up scraping the bottom of the barrel in the genres that I love. However this book was a wonderful surprise. The vast majority of the books I've listened to from the genre have a male main character. It was refreshing to have a good strong heroine in this book and even better that the book was well written with a great pace and narrated by Soundbooth Theater. Annie Ellicott and Jeff Hays put together another superb performance as I've come to expect from them. I'm downloading the second book in the series as I write this review and intend to start it as soon as I finish. I expect that Carie Summers will write better and better books in this series and hopefully others. I recommend that you give this one a try and I don't think you'll be disappointed. Great book with rich characters and a great pace. Filled with a great balance of action and character development. The only downside was a poor choice in narrator. Even with that I plan to start on the second installment of the series immediately. 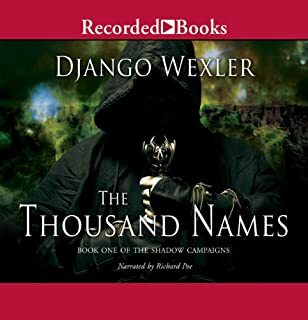 I would have easily given this book a 5 star rating down the list if one of the more capable narrators would have been enlisted to tell the story. I definitely recommend picking this book up. I'm a big fan of Faith Hunter and her other works including this one. I have all her books in the two series that most know her by and though I've only listened to this first book in this series it's shaping up to be just as great as her others. I'm guessing that this book must be one of her early works because I thoroughly enjoy the narration of the others. Unfortunately this one was distracting due to the constant mispronunciation of words that a typical kid should be able to pronounce properly by the time they start high school. 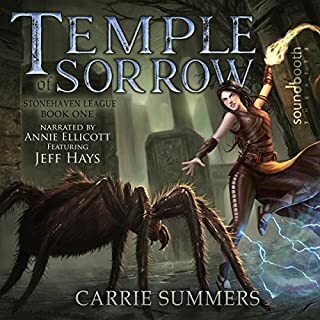 Otherwise she has a good voice and does an average to a slightly above average job of narrating this original and attention grabbing tale from an author who continues to put out great books. I still intend to get and listen to the remaining books in the series and I fully recommend this one to anyone who is interested. I just think it's a shame that a great story is somewhat tarnished by sub par narration. I came across this 1st book in this series quite by accident. I downloaded another of this author's books, Sevenfold Sword, the first book in a series that I believe follows the son or perhaps children of the main character in this series and while I began to listen to it I was looking at the other books this author wrote. When I saw that there were books that predated it set in the same world and concerning some of the core characters I immediately stopped the book and downloaded this. 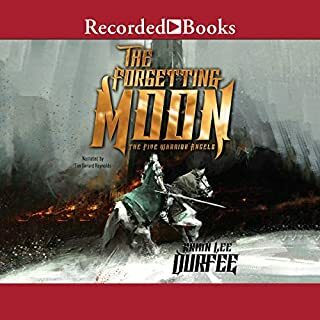 I hadn't heard of the author nor the narrator and there were very few reviews on the books in this series so I was a bit leery as to whether or not I'd enjoy it. Oftentimes the first few books an author puts out can be tortuous to get through but progressively get better as more and more books are put out especially given that self publication is much easier to achieve now. This book wasn't like that at all. It was wonderfully done with great character development and a storyline full of action that still gives the reader a firm grasp on the world's history without revealing too much about the central characters, leaving plenty of mystery to be disclosed in later books. 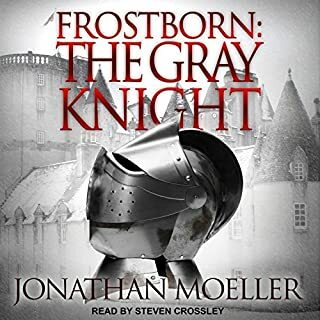 I wasn't familiar with the narrator, Steven Crossley, either and have never listened to him prior to this book as far as I can recall. There again I was pleasantly surprised. He does a solid job and gives much more to the story than reading alone. His female voices were a little weak but not so much that it detracts from the performance. I definitely recommend checking this title out! This book starts hard and fast and doesn't stop until the very end. 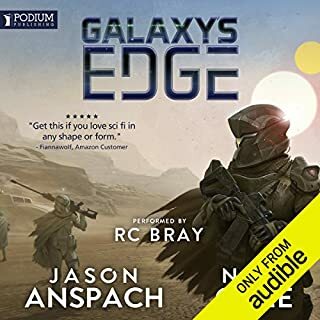 Set in a world reminiscent of Star Wars without the whole good/bad side of the force angst, Galaxy's Edge is gritty sci-fi that gets its hooks in the reader/listener through characters that you can immediately identify with. Narrated by R.C. Bray, one of the best in the business, you won't be disappointed in adding this audio book to your collection. I can't wait for the next book in the series! This is one of the finest books I've listened to over the last couple of years. It's a very original concept but the story doesn't rely on overly exaggerated powers. Instead I became fully invested in the characters. I really hope that Mr. Fuller decides to continue to spin more tales from the world he's created. 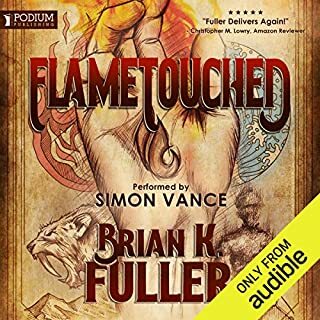 Simon Vance is one of the better narrators in the business and does another bang up job with this book. I definitely recommend this one! An ill-prepared queen, a soft-hearted mercenary, and a crippled warrior struggle as a kingdom falls and an empire rises. For years, the High Mages of Cadonia have maintained an uneasy peace among the nobles disgruntled with the rule of the king. In the aftermath of a tragic event, Elyse, the king's daughter, is thrust into a role she is not ready for. As queen, she must now determine who to trust while struggling to keep the kingdom from collapsing around her. 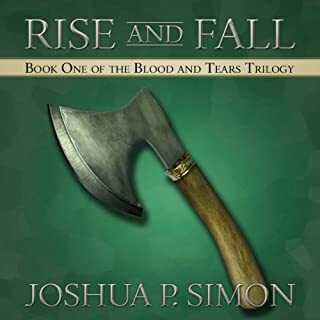 I tried out this book after finishing the The Tyrus Chronicle also by Joshua P. Simon. I really enjoyed those four books and decided to give this series a shot as well. I noticed that there were very few reviews and was a little concerned that I wouldn't care for it but my concern proved to be completely unfounded. The first couple of chapters were a tad rough but after it was a solid storyline that kept my interest and allowed me to really invest myself in the characters. The narrator was average at best but not bad enough to ruin the story for me. I look forward to the rest of the series and have high hopes that I won't be let down.